Virgin Australia, Newcastle Airport and Deputy Prime Minister and Minister for Infrastructure and Transport Michael McCormack have announced that for the first time in 16 years, travellers will be able to fly directly between Newcastle and Auckland, opening up a range of travel and tourism opportunities. The new flights will make Virgin Australia the first airline to provide an international service from the upgraded Newcastle Airport terminal. Virgin Australia will operate three return services per week during the peak holiday period from 22 November 2018 to 17 February 2019, creating a gateway to the rest of New Zealand as well as the Greater Hunter Region. 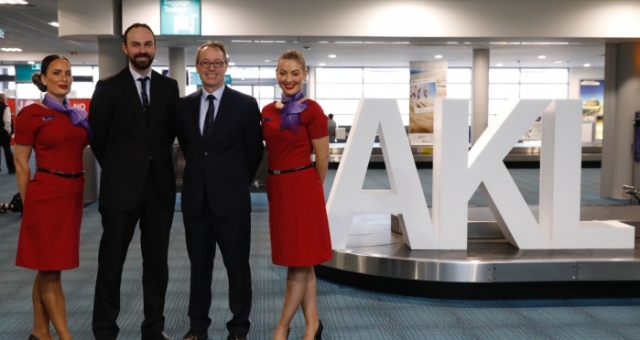 McCormack said Newcastle Airport is a major gateway into New South Wales and now plays an important role in global connectivity by facilitating travel and tourism opportunities between Australia and New Zealand. “Importantly, these flights will help drive regional tourism growth and dispersal of visitors to Australia’s most popular tourism destinations,” McCormack said. “New Zealand and Australia remain strong reciprocal tourism markets, with some 2.845 million travellers* moving between the two destinations each year. “Virgin Australia will be providing 13,000 additional seats across the busy holiday season,” McCormack said. Virgin Australia General Manager, Network, Revenue and Alliances, Russell Shaw, said: “Virgin Australia is proud to provide the regional New South Wales community with increased travel choices and convenience, and a much more seamless international travel experience. “With this direct flight, local residents will arrive in Auckland within three hours, ensuring they have more time to enjoy the breath-taking sights and incredible experiences New Zealand is famous for. “The Greater Hunter Region will also benefit from increased tourism opportunities, with New Zealanders now able to travel direct to Newcastle and explore the region and all it has to offer including wineries, restaurants and the pristine beaches,” Shaw said. Hoteliers have praised the new flights from Newcastle, saying it is a big win for tourism in Newcastle and the Hunter Valley.